Today at the 2018 AADA National Dealer Convention and Expo, Shadow Assistant Treasurer, Dr Andrew Leigh, committed a future Labor Government to the creation of an industry-specific Automotive Code. The code implemented through regulations under the Competition and Consumer Act will seek to level the playing field between franchised new car Dealers and vehicle Manufacturers. The establishment of an industry-specific code will address some of the weaknesses that the Franchising Code has for new car dealership business. Dr Leigh stated that he looked forward to, as part of a Labor Government, tasking Treasury to work with the ACCC, Dealers, and Manufacturers, to develop and draft a legislative instrument for a mandatory code. The AADA has been engaging with both the Government and Opposition in calling for the establishment of an Automotive Code of Conduct. The announcement today by the Opposition marks significant progress in our goal of achieving bi-partisan support. 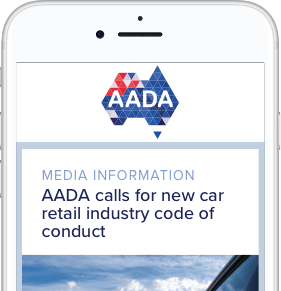 The AADA continues to believe that an industry-specific Automotive Industry Code of Conduct is essential to protect the important contribution franchised new car Dealers make to Australia. The AADA will continue to work with the Government to achieve its support for a code.